A multi-vehicle crash has blocked part of the A1 near Peterborough this afternoon. 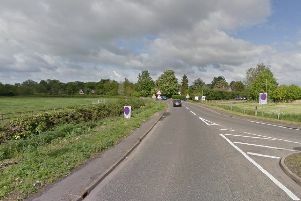 Police were called to the northbound carriageway at Stibbington at 2pm. A police spokesman said officers are dealing with a 3-4 vehicle crash and have closed on lane of the carriageway to allow recovery. Nobody has been injured in the collision but there are long delays back to the A605, Peterborough Services. UPDATE: The scene was cleared at around 5pm.